B Public Relations has been appointed to handle the PR for MoYou London; the ultimate ‘fanatics’ of creative nail art stamping. Launched in 2009, the range has since had a makeover and its vast collection now consists of over 500 plates of iconic designs, each with fabulous designs engraved on stainless steel plates. There are over 50 shades of polish in the collection and 4 different stamps to apply them with. Each range consists of a ‘different girl’ to suit every mood, style or occasion, simply nail your manicure and set the trend by effortlessly mixing and matching the original image plates with a vibrant splash of colour. Whether you opt for the Scholar, the Biker, the Artist, the Rockstar or the Explorer – the options are endless. 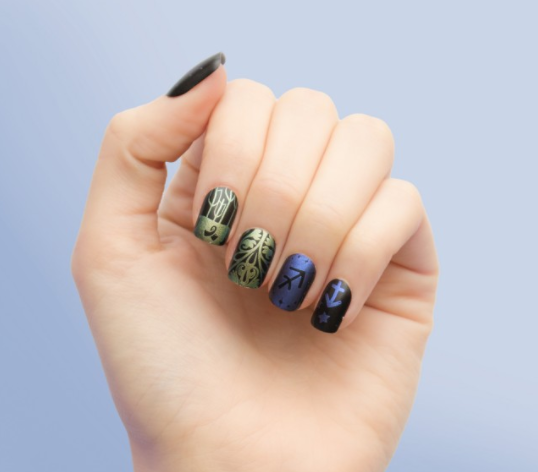 With professional polishes starting at £4.99 and nail art stamping kits from £22.99 simply mix and match from plates to sets to stamps to create your ultimate nail stamping collection. MoYou London is available from www.moyou.co.uk and selected Boots nationwide.